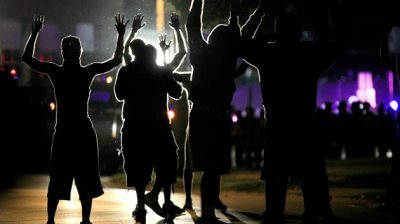 AFRICANGLOBE – The United States produced a bumper crop of what Billie Holiday would call “Strange Fruit,” in March: at least 111 bodies, the majority of them unarmed Black men, shot down by police in the blood-fertilised streets of American cities. If one just counts the unarmed victims, that’s a rate of about two extra-judicial executions per day, roughly twice the “one every 28 hours” cited by the Malcolm X Grassroots Network’s 2012 report, Operation Ghetto Storm. All across the country, the granting of impunity for the perpetrators of summary execution of Black men, women and children is “everyday practice” — now certified as “best practice” by Attorney General Eric Holder, who claims court precedents preclude prosecution of killer cops except under the most extreme conditions. Given the odds against prosecution, officer Michael T. Slager probably counts himself the unluckiest white man in South Carolina. Despite his claims to have been in fear for his life, Slager was charged with murder — a fate he would surely have avoided had he been under the jurisdiction of St. Louis prosecutor Bob McCulloch. Last year, McCulloch’s team led grand jurors to believe that “the law” allowed police to use deadly force against unarmed persons fleeing a felony, as Ferguson officer Darren Wilson claimed was the case with Michael Brown. However, the US Supreme Court ruled such shootings unconstitutional in 1985, as every public defender knows — and McCulloch surely knew, as well. The South Carolina cop also had the bad judgment to commit murder in clear view of a private citizen’s well-held camera. Last weekend in the town of Zion, Illinois, about 20km north of Chicago, cops killed 17-year-old Justus Howell with two shots to the back while he was running away, according to the coroner’s office. Initially, the police reported no weapon on his body, but later the cops claimed the teenager had stolen a gun from another man minutes earlier, leading them to give chase. In time, the cops produced a gun, which they will connect to the other Black man, who was held on $15,000 bail, and thereby seek to justify the killing of the unarmed, fleeing teenager Justus Howell. Cleveland cop Michael Brelo distinguished himself as the most murderous member of a mob of 104 cops on a chase-and-shoot spree in Cleveland, Ohio, back in November, 2012. Mistaking a car engine backfire for a gunshot, the crazy cop caravan careened through Cleveland at speeds reaching 160km an hour, cornering Timothy Russell (43) and Malissa Williams (30) in a school parking lot. Russell and Williams, unarmed, died in a hail of 137 bullets — 49 of them fired by Officer Brelo, now on trial for voluntary manslaughter. Brelo and his partner fired 15 bullets through their own windshield at the Black victims’ car. Then, at a point when, according to the prosecutor, no cop’s life was in danger (except from other officers), Brelo jumped on the hood of the victims’ car and fired 15 more shots at the mortally wounded man and woman. Today, the cop says he has no recollection of the entire episode. In December, the US Justice Department concluded that Cleveland cops routinely use excessive force and are unaccountable to the public. Officer Brelo’s blank memory on the shootings of Timothy Russell and Malissa Williams, and officer Timothy Loehmann’s blink-of-an-eye deliberations on terminating Tamir Rice, point up the utter lack of value US society places on Black lives. The high-profile killings this week, the obscene death toll last month, the unreported and delayed deaths, are a constant in the bloody history of America. When President Obama insists that racism is not, and has never been, “endemic” to this country, he is simply identifying himself as an active participant in the ongoing slaughter. The police, as guardians of the State, believe they are simply doing their jobs. They must be right, since they continue to receive praise, protection and overwhelming white support for carrying out their mission as an army of occupation in Black America. The advent of the Internet and a heightened Black community awareness of police depredations, especially since the murder of Trayvon Martin, in February of 2012 has created the perception among many African Americans that police violence has dramatically increased in recent years. Next articleBusiness Exchange: Are Blacks Losing Momentum?